If you'e looking for information on Stray New Zealand trips, then we have all that covered Stray NZ page. Every month you can get awesome deals on Stray Asia trips. These offers are available on all their Travel Passes with a Savings Up To 40% OFF. Stray Asia is the Southeast Asian travel network for adventurous travellers. Stray offers hop-on hop-off guided passes for adventurous travellers of all ages to Thailand, Laos, Cambodia & Vietnam. The Stray Asia mantra is to “get further off the beaten track”, which means with Stray you will explore unique remote destinations and immerse yourself in local culture. Whilst Stray Asia's average age is late 20s, Stray attracts explorers of all nationalities and backgrounds and they worry more about your attitude towards travelling and welcome anyone from 18 to 80. Stray Asia also have Flexi Tours, which are special, all-inclusive packages that you can either add-on to the Stray Hop-on, Hop-off pass or purchase separately. Stray also have City Arrival Packs to ensure the start of your Southeast Asia adventure is hassle-free. Stray Asia mostly uses their our private transport (except for train travel) to get you around the place and they use all manner of transportation, so you can expect to travel by bus, train, longboat and even tuk tuk! Their air-conditioned buses always get great reviews and Stray use experienced drivers. Stray use local guides, who have a wealth of knowledge about each local culture and history. Stray trips also include a Western Tour Leader to help you get the most out of your Stray Asia experience. The Tour Leader does all the great little things for you, like booking accommodation or shows you where the best place in town is to get a meal or have a few drinks. Stray Asia also include a number of the entrance fees to numerous must-see places along the way like the Ayutthaya Temples in Thailand, Thien Duong (Paradise) Cave in Vietnam, Hotay Pitok Library in Laos and the Bamboo Train in Cambodia, just to name a few. get a fantastic insight into the Buddhist way of life at one of the many temples that you will visit along the way. the World’s largest cave networks in Vietnam. 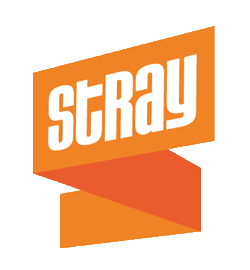 Stray have a responsible tourism mission to operate a sustainable travel network and they have a heavy involvement in local initiatives and support small communities. The Stray Asia Hop-on, Hop-off travel passes are flexible in that you can either use your travel pass as a tour, or you can hop-off and hop-on anywhere around the route. You can simply hop off at any point to explore or spend more time in one place, then you hop back on to any other Stray bus that comes along. The Stray passes are valid for 12 months from the time of starting and pretty much all pass itineraries are guided. The Stray pass includes your transportation as well as plenty of included inclusions. The only thing you need to pay for is your accommodation, food and drinks, as well as any optional activities that you might want to do along the way. Although you have to pay for your accommodation, Stray Asia will organise your accommodation for you each night whilst you’re on the Stray trip. The best part is that you pay for your accommodation directly to the provider as you go. The Stray Asia preferred accommodation is usually in guesthouses, but in some remote stops they even have home stay and camping options. You are welcome to stay at other accommodation options other than those preferred by Stray Asia, but Stray only reserve beds and pick up from their preferred accommodation. Stray Asia Flexi Tours are short, guided escapades that get you closer to real action in Southeast Asia. They include your accommodation, guide and activities specified. Stray Asia City Arrival Packs ensure you will have a stress-free arrival into Bangkok in Thailand, one of Southeast Asias biggest cities They include accommodation, meet and greet transport and plus top activity inclusions.